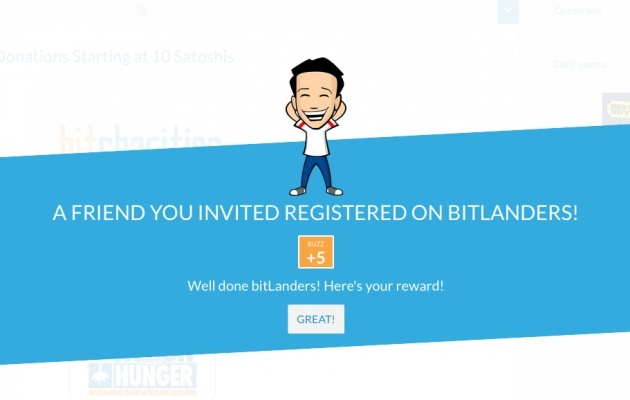 Earn 5 Buzz Bonuses when a friend you invited registers on bitLanders! The Quests are one of the easiest ways to earn more on bitLanders, whether it's Buzz Bonuses, Gems or Bitcoin. Starting today, you can see a new Quest in your Quests Box: "Bring a friend on bitLanders!" Simply click on the quest and follow the steps. It will lead you to your referral page where you'll find a link to your personal registration page, and an invite box. Simply add the emails of the friends you wish to invite or send them your personal registration link. 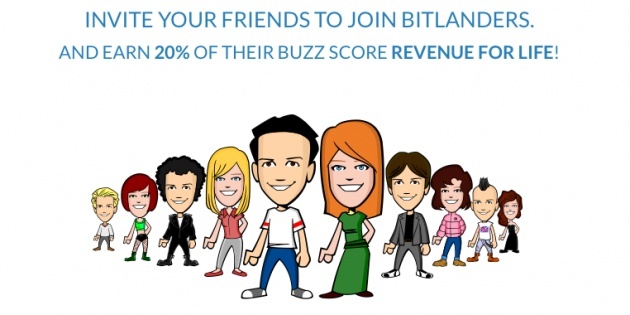 Once a friend you invited registers on bitLanders, you automatically get 5 Buzz Bonuses. That's not all! You will also receive 20% of his/her earnings for life! 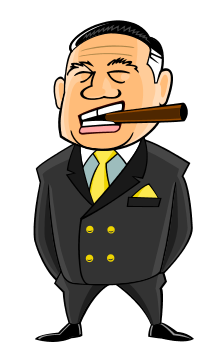 Complete the Quest now to get your Buzz Bonuses, increase your BuzzScore and Bitcoin revenues! Many people sign up, but not one makes the effort. Doing what I can. So far, no takers. i keep on inviting friends and its more than 10 i guess but i have not still got the buss fro friends quest invite.not working for me...why? I only got 3 buzz why? this is nice..i am doing this to..
Great! I hope they will bring back the feature of getting friends directly in facebook. I'm still trying to find new friends. I don't know why the friend request using facebook is not working now. @kampung-inggris-pare-kediri You get 5 stars once a friend you invited joins. wow, i wanna try this!! !